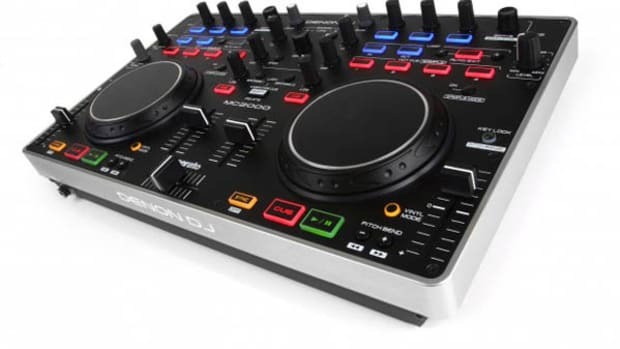 The Epsilon Quad-Mix four-channel DJ controller is a very capable device that comes bundled with VirtualDJ LE, has aluminum knobs, and two RCA inputs to add extra turntables or CDJ&apos;s to the performance. The Quad-Mix is now available in white and black editions for the slim price of only $350. Check out our full video review to see if this controller is for you. The Epsilon Quad Mix controller is made up of almost all plastic construction. 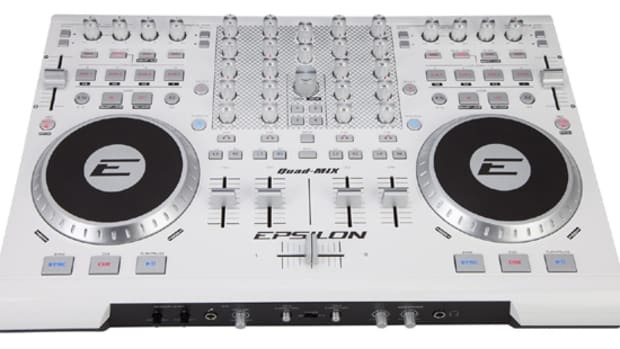 The Epsilon Quad-Mix is available in an all white color scheme or an all black color scheme depending on your taste. 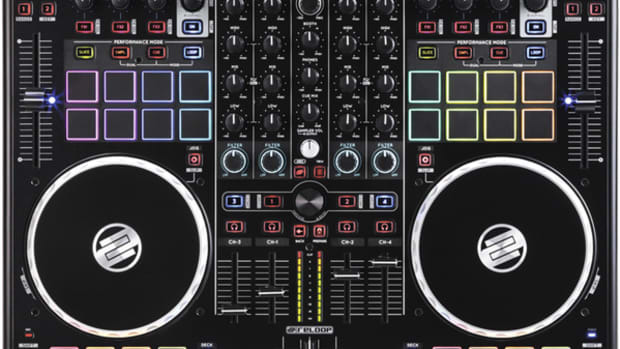 The Quad Mix comes bundled with Virtual DJ LE and has four full channels of mixing control right out of the box. There is a large quarter-inch headphone output and quarter-inch microphone input with controls on the front of the Quad-Mix. There are XLR and RCA Master outputs, a Booth RCA output, and two Line/Phono level inputs to attach additional sources of music. 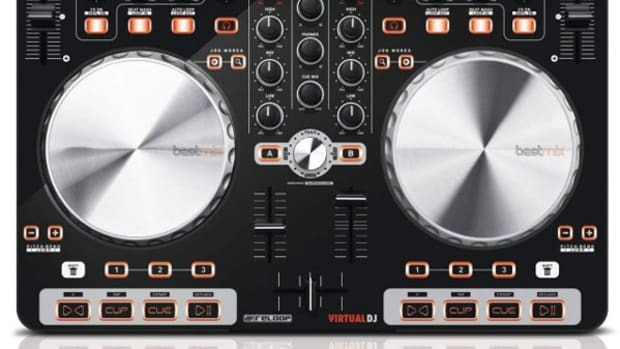 Unfortunately, the inputs can only be used when the software is upgraded to the Full Virtual DJ Pro software which costs an extra $300+ if you don&apos;t have it already. Check out the full video review above for a breakdown of the Quad-Mix hardware. 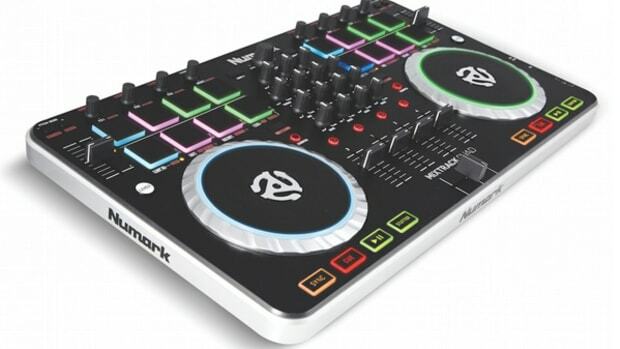 In Conclusion, the Epsilon Quad-Mix DJ controller is a good DJ controller for beginner DJ&apos;s at a great cost. Virtual DJ LE provides four decks of mixing control straight out of the box. There&apos;s also RCA Inputs for additional device connectivity and separate booth and master outputs with volume controls. On the downside, the Quad-Mix is made up of an all-plastic housing which needs to be protected during transport or storage. I also experienced some latency with the Jog Wheels and faders which weren&apos;t really good enough for any serious scratching, but were adequate for mixing. The RCA inputs on the back also only work when the Full Version of the Virtual DJ software is purchased which is an additional $300 purchase. 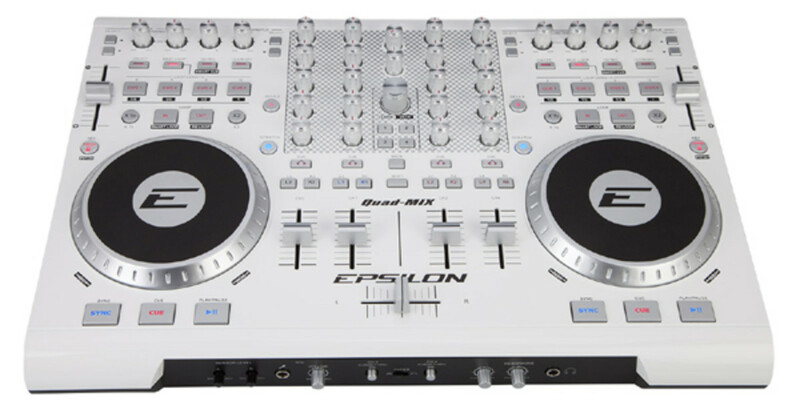 We&apos;re going to recommend the Epsilon Quad-Mix to any beginner level DJ who wants a four-deck controller that works well with Virtual DJ without breaking the bank.